BlackBerry considering another tablet | BlackBerry Blast! BlackBerry has not had the best luck with tablets. The company released the PlayBook a few years ago and it basically flopped. 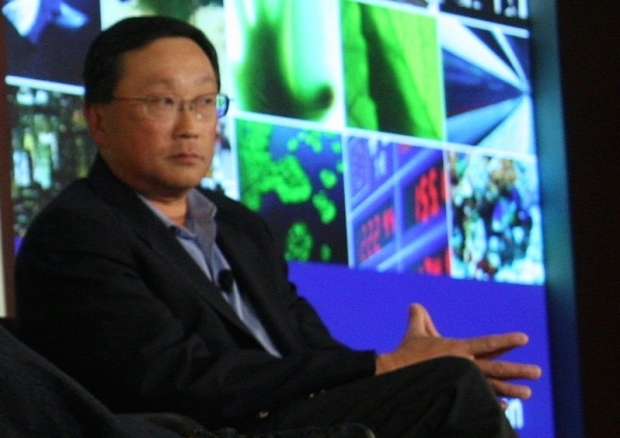 BlackBerry CEO John Chen is not afraid to take another risk however. He was recently quoted as saying he is open to creating another tablet, but it has to be "iconic." In a recent interview at the Mobile World Congress in Barcelona, Mr. Chen said, "It's not in the works, but it's on my mind." Don't bet against BlackBerry at this point. Mr. Chen has managed to save the company from complete disaster, and although they are not back at the top of the mobile market, the company is on decent footing and not afraid to experiment. Making a tablet could create a new revenue stream for BlackBerry, but it would need to appeal to more than just the BlackBerry faithful who still rely on the outdated platform. If BlackBerry could create a new "iconic" tablet, that would certainly be great news. Don't count on BlackBerry making a tablet just for the sake of it though. Mr. Chen says, "I want it to be different. I want it to be iconic. Bringing a tablet out for a tablet's sake, it's not the right thing to do."